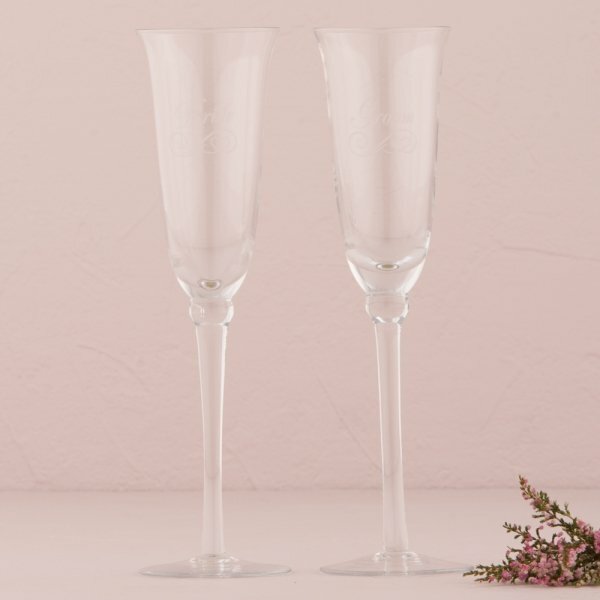 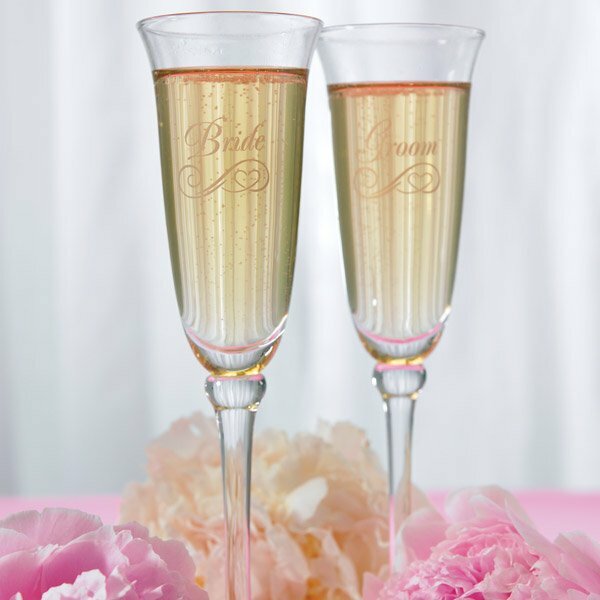 These etched bridal toasting flutes are an elegant addition to any head table! 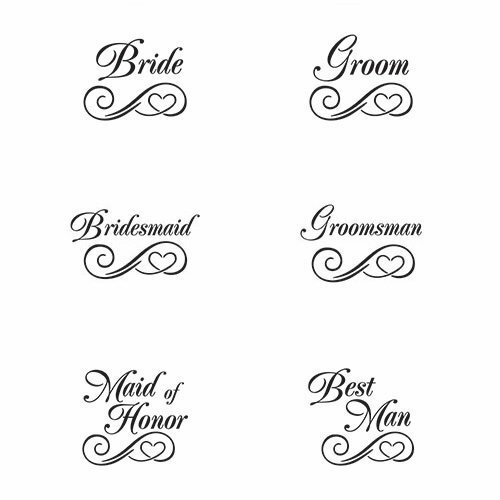 Order one for each attendant, and they can keep them as a keepsake of the important role they played in your wedding. 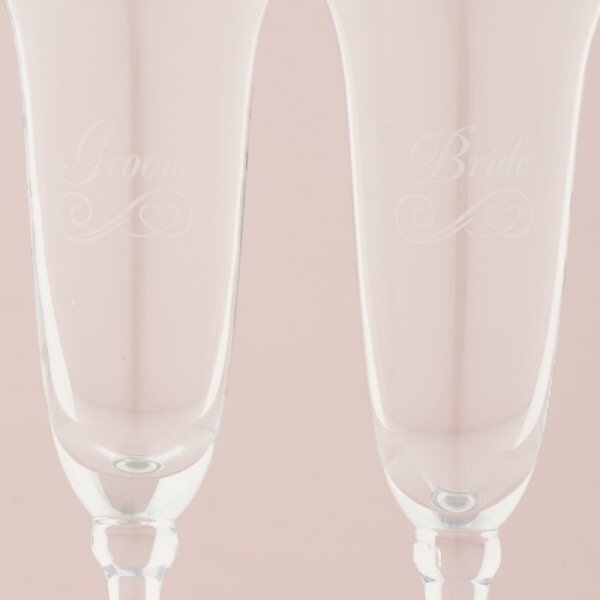 The Bride and Groom flutes are sold as a set, the bridal party and blank flutes are sold separately. 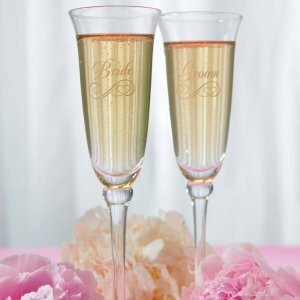 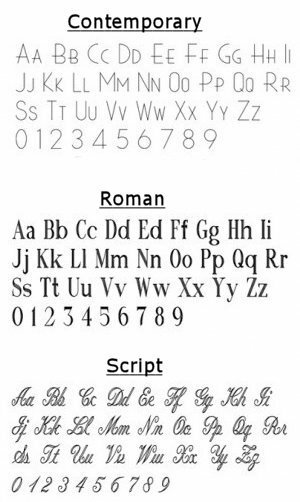 You can also add a personal touch to each flute by engraving their name and your wedding date (on the opposite side of the flute from the title) for a nominal fee. 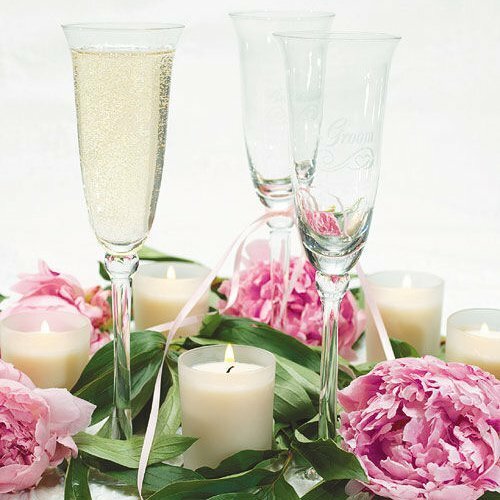 Each flute stands just over 9" tall and holds 6 ounces of their favorite toasting beverage.